Rent it for $79/day ………………………………………………. 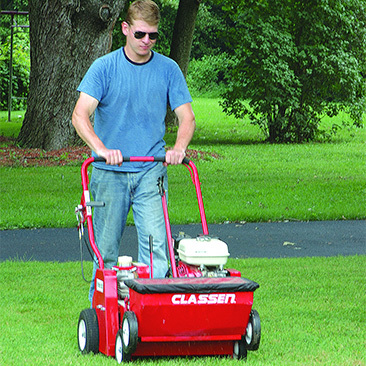 The Classen TS-20 turf overseeder is a multipurpose machine for seeding a new lawn or overseeding an existing lawn. The front seed drop ensures follow-up soil coverage for better seed germination.Handles fold easily, for portability and storage. 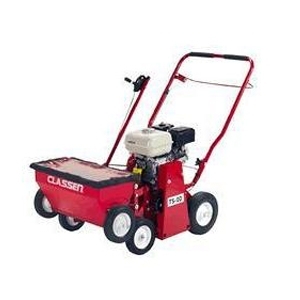 Classen turf overseeders, with removable seedbox, convert in minutes to a rake with catcher bag or vertical cutter.